Average click-through rate (CTR) is the ratio of clicks on your link to impressions your link makes. Since it is an average, it looks at the CTR of your overall campaign rather than for each individual keyword. In this way, it serves as a good summary picture, but also hides specifics such as which keyword phrase you rank better for. There are many reasons why marketers seek to optimize their CTR and why it is one of the most important metrics to monitor in regards to PPC advertising. For one, a high average CTR indicates your link and/or ad is drawing attention and traffic to your site. This means more audience for your offer. Google, for example, relies on your historical CTR data to predict and estimate your future CTR. Depending on how high or low your CTR is predicted to be, your Quality Score and Ad Rank will change. 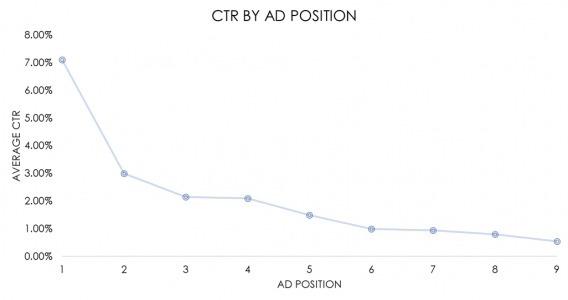 Check out “PPC Click-Through Rate” for more information on how CTR affects your ad placement. 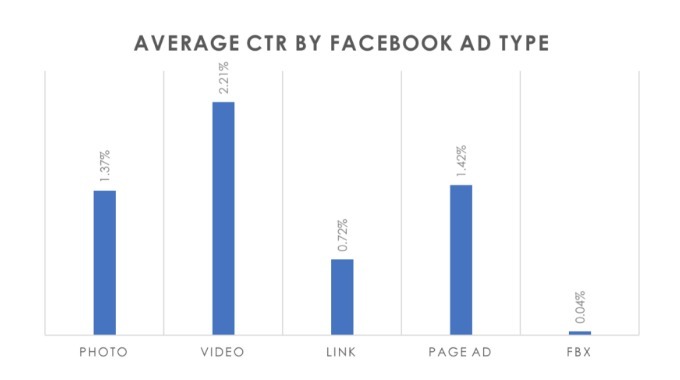 More importantly, average CTR is a good indicator of performance. If you have a low CTR, for example, it may be an indicator that your copy or headline isn’t effective or that you are targeting the wrong audience, reaching the wrong demographics, or spending money on the wrong keywords. Unfortunately, this is a tricky question to answer. This article will explore benchmarks by industry, ad format, ad position, and channel to help you place your CTR amongst like competitors and discuss how to set a baseline CTR. Lastly, it will discuss the implications of having a high CTR. 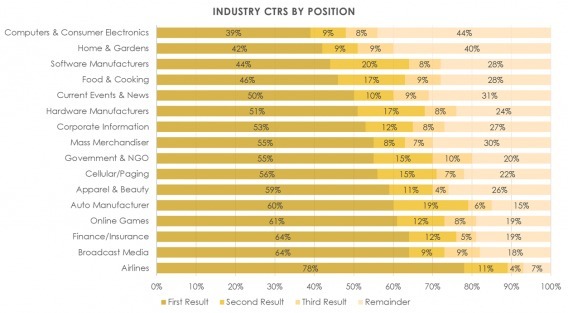 Average CTRs vary by both network and industry. 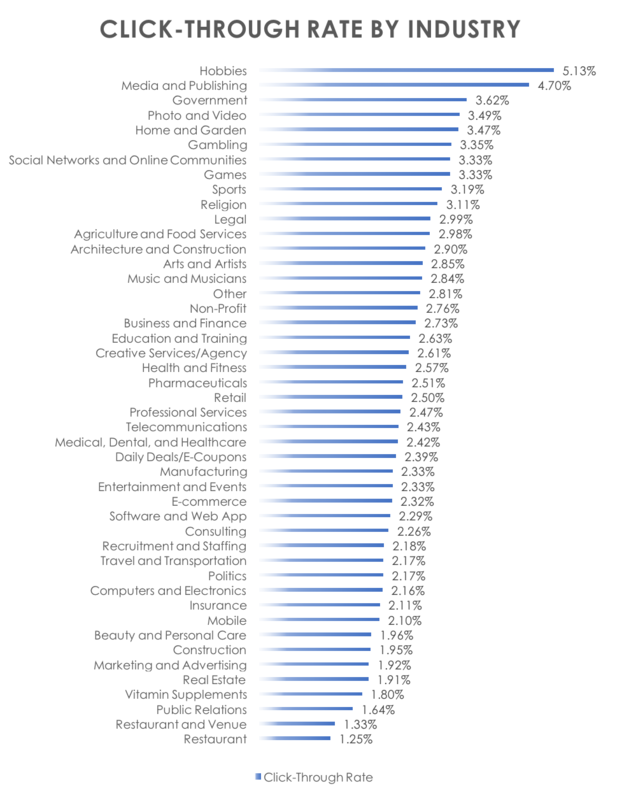 The following chart displays data from WordStream on the average CTRs on both the display network and the search network for different industries. 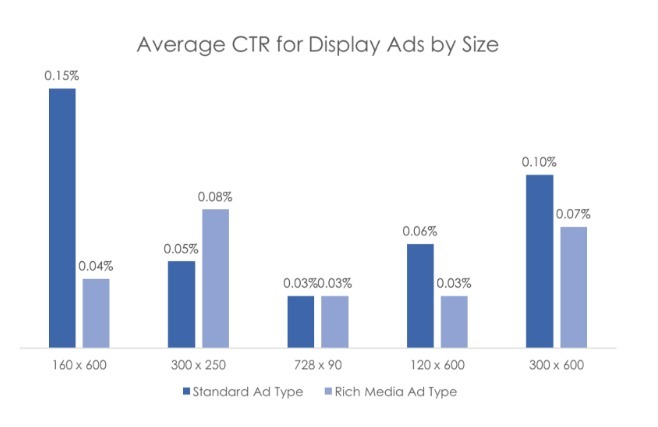 Note that the average CTR for ads on the search network (1.91%) is much higher than the average CTR for ads on the display network (0.35%). This is because users on the search network are actively searching for content related to the keywords they submitted whereas users viewing ads on the display network skim your ads passively, usually with no intent to click. 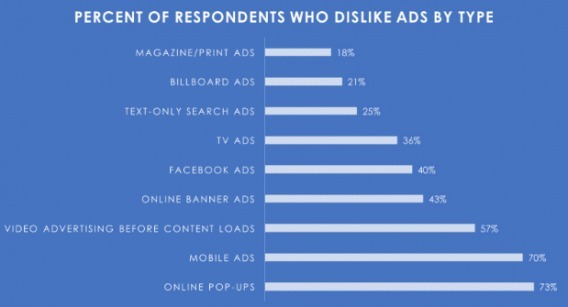 In fact, many users will find ads on the display network annoying to their overall viewing experience. 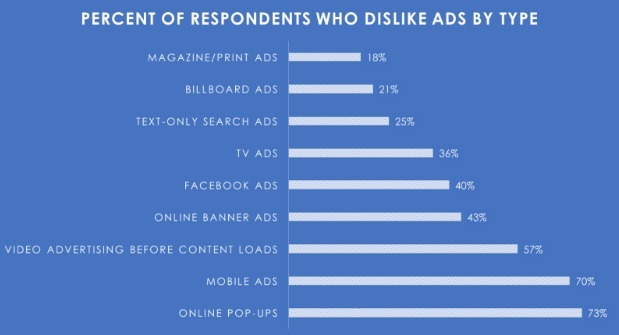 Data from HubSpot makes this point clearly, people dislike display ads a lot more than they do text-only search ads. In fact, the default response from viewers when they encounter ads is to turn-on and/or install an ad blocker. 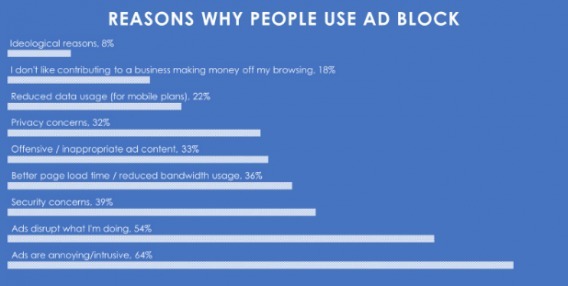 Viewers may also use ad block when ads are disruptive, offensive, or concerning. Of course, different display ads perform differently depending on their location on the page, their size, and even their media format. 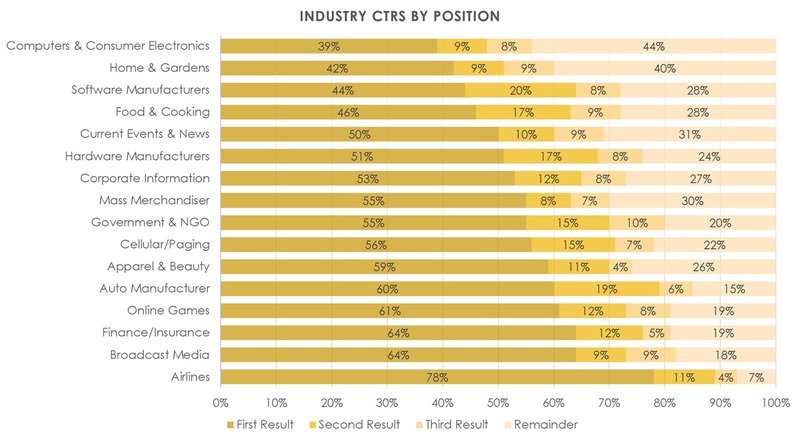 CJ Media’s Online Advertising Benchmarks Report reveals some other interesting trends, including data for how CTR varies by ad size. Your CTR is also affected by the position of your ad in the search results page. That means, even if you are in an industry with high average CTR, your CTR may be substantially lower if your ad does not rank. Similarly, if you are rank one for a keyword, you may find yourself with an extremely high CTR even though the industry average is low. 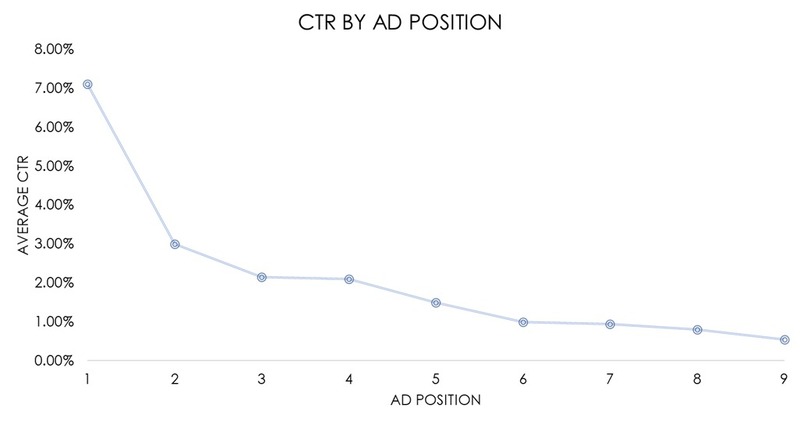 According to AccuraCast, the average CTR for ads in the search network varies dramatically by rank. Ads in rank one have an average CTR of 7.11%, while ads in rank nine only have a CTR of 0.55%. CTRs for natural search results reflect similar patterns. 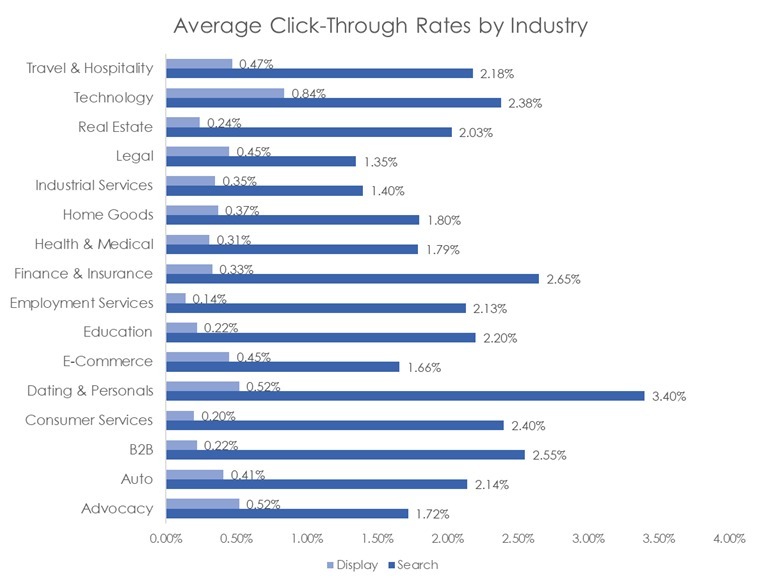 In fact, most clicks for searches across industries occur in the first three results. That means, most people do not even look past the first three results of a search. Unsurprisingly, the channel you display your links on also affect click-through rate. 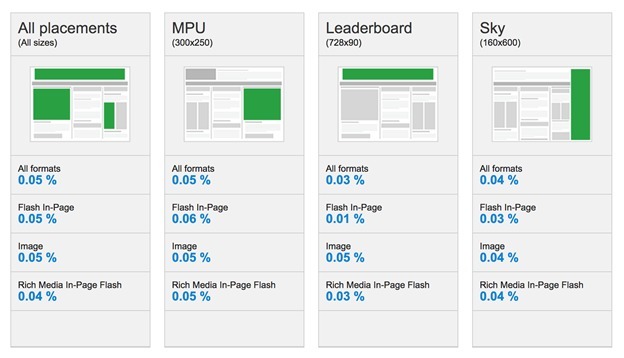 Users on Google search, for example, are different than users browsing through Facebook feeds. Not only are there variations in purpose of session, but there are also variations in demographics and display format. 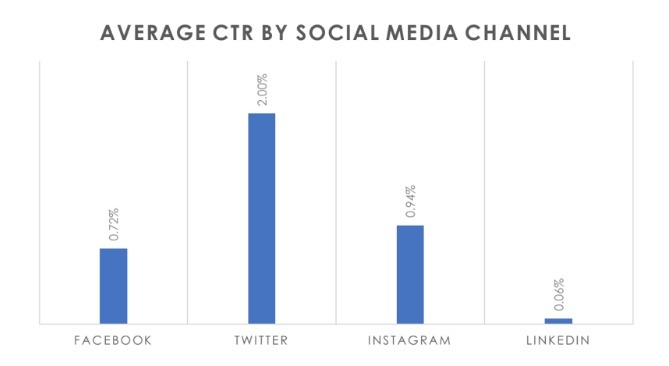 On average, Twitter ads have the highest CTR (2.00%) and LinkedIn has the lowest (0.06%). One reason for LinkedIn’s low CTR performance may be LinkedIn’s primary purpose as a networking tool and limited outreach opportunities for advertisers. However, these averages cover up the specifics. Facebook, for example, offers multiple ad types. While its link ads only have a CTR of 0.72%, its video ads have a CTR of over 2%, beating Twitter’s average CTR, at 2.21%. Likewise, CTRs for emails and newsletters are different than CTRs for search and display network content. 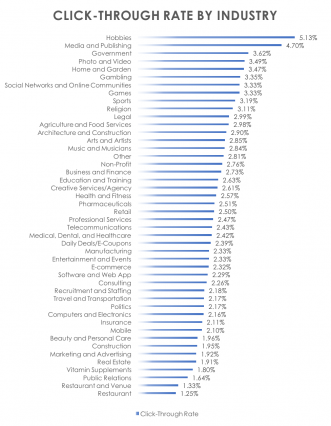 According to MailChimp, CTR for emails is highest in the Hobbies industry (5.13%) and lowest in the Restaurant industry (1.25%). While this article focused on averages and benchmarks, it is important to determine your own baseline CTR and goal. Rather than look at percentages, aim to incrementally improve your CTR. In the end, there is no magical number, rather, each average supplied in this article is only meant to serve as a starting point for your own analysis of various CTRs for your campaigns. To truly set a baseline, you’ll need to spend more time analyzing data. You’ll want to use tools such as Rich Media Gallery and WordStream’s benchmarking offerings to find specific data lining up to your industry, channel, ad type, ad position, and more. More importantly, you need to track your CTR to see how your CTR various by (if it does) day, time, month. Twitter’s CTR, for example, varies by time of day. This will allow you to account for variations in data and track improvements. In the end, there is no right CTR. CTR is only one metric amongst many, and even after optimizing your CTR, you are bound to run into other issues. Focusing on CTR may even be detrimental as a high CTR on its own doesn’t guarantee much in terms of conversion rate, revenue, or other macro-conversion metrics. For example, you may have a high CTR from bots, unqualified prospects, and uninterested customers. Because it is difficult to track exactly which clicks are relevant and which aren’t, you need to watch out for your conversion rate and your ROI if you’re running an ad campaign. Only by considering how traffic flows after your prospects click can you determine if your high CTR is doing you favors.